Puzzles are fun. This is a universal and undisputed truth. Old and young alike love puzzles. However, when puzzles are solved, usually they become worth less because, well, they are solved. What is needed is an app that can create an endless amount of puzzles from pictures taken or downloaded and then share them in puzzle form with friends and family. Solve My Puzzle came just in time to bring an answer to these needs. 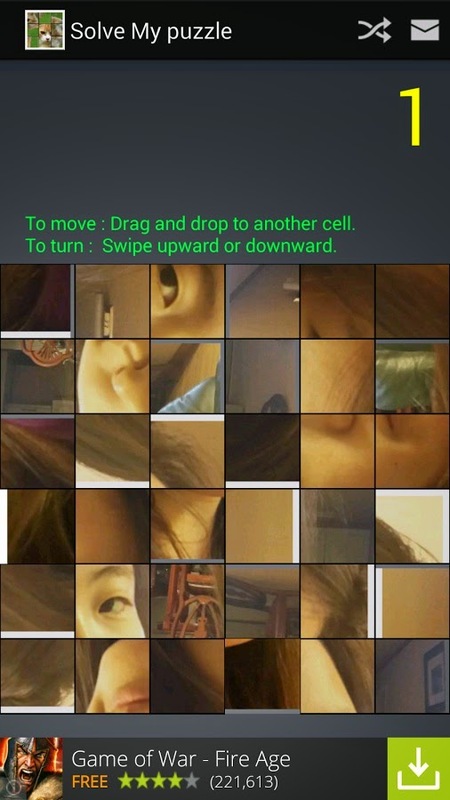 First of all, Solve My Puzzle is a puzzle program that allows you to take a picture, then decide on a wanted puzzle size (from 3*3 to 6*6), create the puzzle and send email it to a friend, with a link to download the app as well. Then, the friend can start solving the puzzle. One of the nice things about Solve My Puzzle is that not only do you get to solve a puzzle, but the pieces are not only shuffled but they are also turned, which adds a new dimension to the game. Of course, Solve My Puzzle implements a simple feature of sharing puzzles with friends by Email, which opens up endless possibilities, from sending your own shuffled face to a friend, to sending an image of a surprise invitation to spouse etc ... Another nice and VERY important thing Solve My Puzzle provides is the ability to create and then solve puzzles by kids, which not only trains their cognitive skills but also provides periods of blessed silence as the kids try their hands and increasingly tough puzzles, provided they start easy and don't burn away their patience. 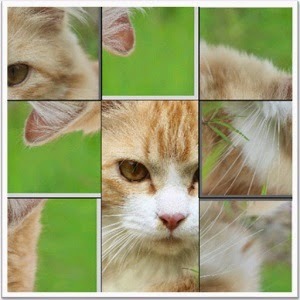 In conclusion, turning your media pictures to puzzles have never been easier and more fun than with Solve My Puzzle.